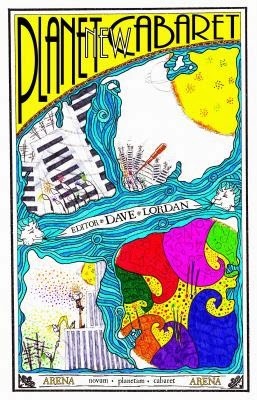 I am more than happy to have a poem in the upcoming anthology New Planet Cabaret, published by New Island and edited by Dave Lordan. “In December 2012, New Island and RTÉ Radio One’s ARENA launched the first on-air creative writing course. The course took place on the first week of each month until June 2013. Writer and Creative Writing Teacher Dave Lordan co-ordinated the course. Each month, a new writing prompt was given and listeners would submit material based using that prompt as inspiration. This book contains the best of those submissions.To accompany them, ARENA has specially commissioned pieces by a host of emerging Irish writing talent including: Afric Mcglinchey, Nuala Ní Chonchúir, Kerrie O Brien, Sarah Griffin, Temper-Mental MissElayneous, Kevin Higgins, Jinx Lennon, Sonya Kelly, Colm Keegan and Stephen James Smith. 'New Planet Cabaret' will be launched on Friday November 22nd at The Gutter Bookshop on Cow's Lane in Dublin.